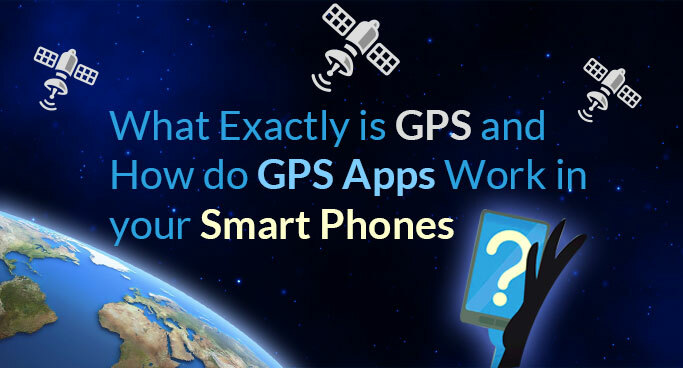 What Exactly is GPS and How do GPS Apps Work in your Smart Phones? Smart Phones come with built-in GPS feature that is used to track the location. How does GPS actually work? Let us understand the concept of GPS in details and learn its working. GPS stands for Global Positioning System which is a constellation of 27 satellites (out of which 24 are in operation and 3 are extras in case of failure of any of the operational 24), orbiting the Earth at an altitude of about 12,000 miles. They make two complete rotations every day, with an arrangement that at least 4 of these are visible to your GPS-enabled device; up to 12 satellites are available. The GPS system was developed and implemented by the US military to deploy weapons, which was later opened for the civilians around the world to use. Your GPS enabled Smartphone tracks your location through mathematical principle called ‘trilateration’. The satellites orbiting the Earth have atomic clock and continuously broadcast radio signals with time as data. 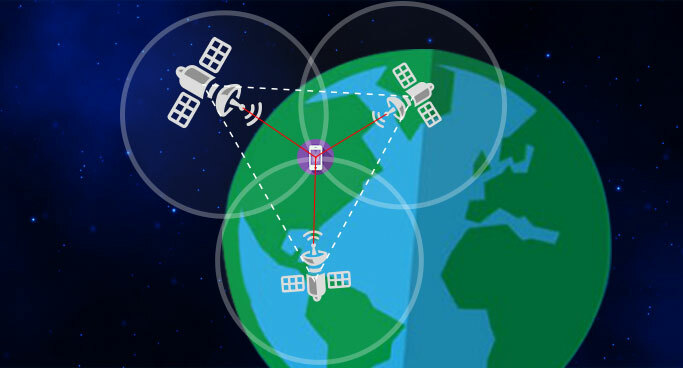 The Smartphone GPS applications analyze the high-frequency; low power radio signals sent out from three or more satellites and calculate the distance between the satellites and your device. After determining your location, the GPS apps can provide location specific information including your elevation and speed of travel. Your Smartphone GPS app will be able to pinpoint your location by calculating how far you are from each satellite till it keeps receiving signal from three or more satellites. GPS is usually calculated to have an accuracy of ±500 feet. GPS is an immensely powerful tool but it’s not always perfect. GPS determines location by calculating time, the signal takes to reach your Smartphone’s, as it travels at a constant speed. But sometimes the signals slow down while they pass through various densities in atmosphere. The radio signal encounter blockade or can even bounce off due to solid structures / objects like large buildings or rock surfaces before reaching the receiver. There might be slight time variation if the clock in your GPS enabled device is not accurate, as it is supposed to be in sync with the atomic clocks in satellites. The accuracy of GPS also depends upon the number of satellites your smart phones can communicate with, lesser satellites available, would mean possible position errors. The position of satellite also affects the trilateration accuracy, where satellites being in a line or close group can yield poor results.